THE words could have been spoken by James Bond himself. 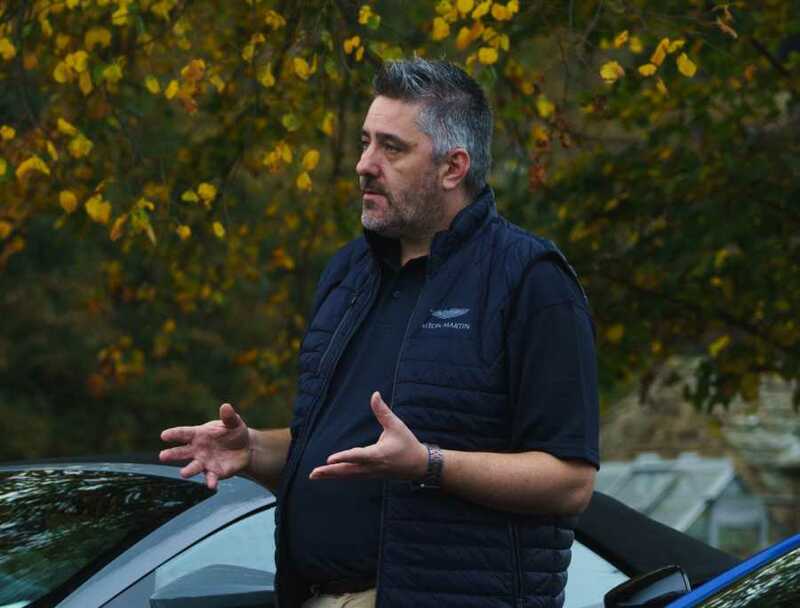 Lofty claims, of course, but there’s little exaggeration in the voice of Philip Eaglesfield, one of the most senior figures at sports car icon Aston Martin and the brand’s President for the UK and South Africa. Aston Martin Lagonda, to give the company its full name, has been producing sought-after handmade cars for more than a century – from 1920s racers to the DB10 of Bond epic Spectre – but things have never moved at a faster pace than they are now. It all comes via the continuation of something called the Second Century Plan, and an expansion programme that will see fresh products emerge from Aston’s new factory at St Athan in south Wales. Says Phil: “The transformation plan has three phases, the first of which was stabilisation, followed by core strengthening and making the company fit for purpose. “Then there’s expansion of the product portfolio, aimed at delivering a successful and sustainable luxury business by 2020. The 47-year-old was there during the period Aston operated under the stewardship of Ford, who he describes as being ‘great custodians of the brand and very supportive’ and welcomed the deal with Daimler which led to the German giant supplying the new generation of Aston Martin sports cars with Mercedes AMG engines. To sports car fans and viewers of 007 movies alike the name Aston Martin has always oozed discretion, distinction and refinement – an expression of taste rather than wealth. It’s a fact borne out by two of the latest Aston models to hit the streets, the new Vantage two-seater and DB11 Volante convertible. Both are powered by the same 4.0-litre twin-turbo V8 engine supplied as part of the technical partnership with Mercedes, and retuned by Aston Martin at the Gaydon factory in Warwickshire where the cars are built. And both were available for test drives at an exclusive media day in Northumberland – on long, fast and unforgiving roads up to the Scottish border. Lean and mean, the Vantage is a true thoroughbred with the looks and technology to match its 0-60 acceleration time of 3.5 seconds and top speed of 195mph. It generates a significant level of downforce – a rarity on any production car and a first for a core production Aston Martin model – but is at the same time an everyday supercar. Driving a vehicle like this is a joy. 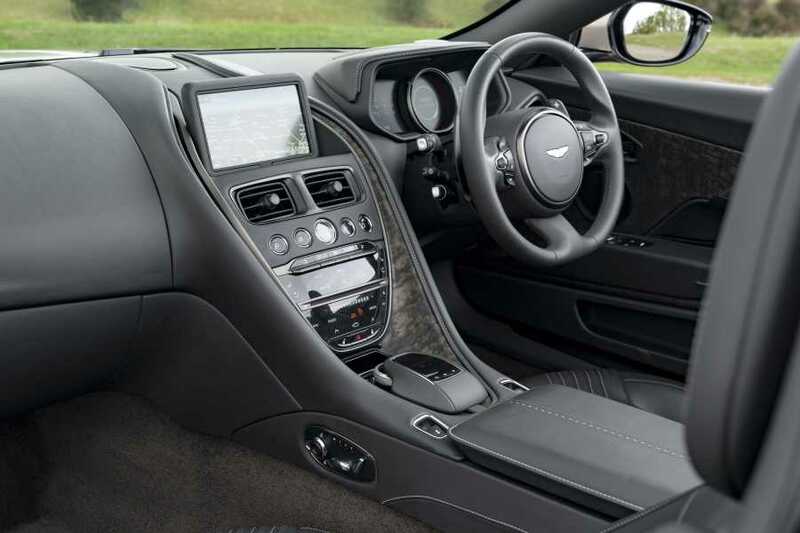 The centre of its dash may feature a mind-boggling array of buttons, but this doesn’t get in the way of the Aston’s useability or the driving experience. 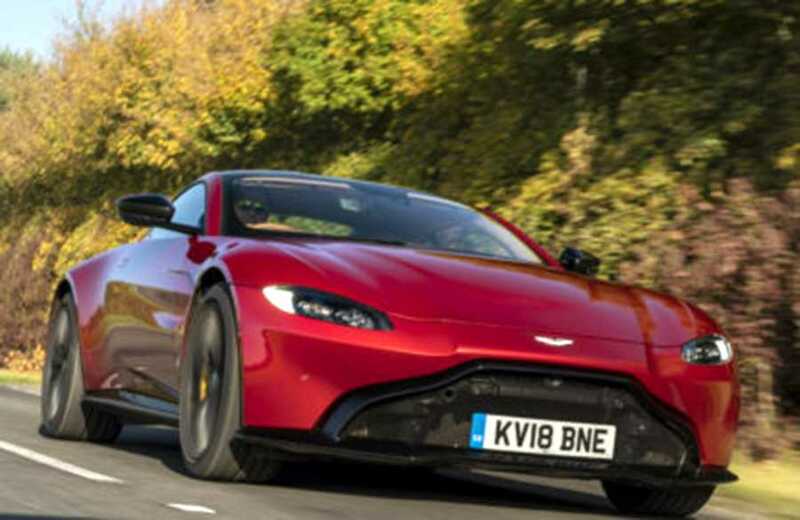 Potter in slow traffic and the Vantage behaves like a well-mannered youth, deliver a heavy right boot and the monster awakens – quite radically if you press the button to engage Sport Plus and Track modes. Prices are from £120,900. 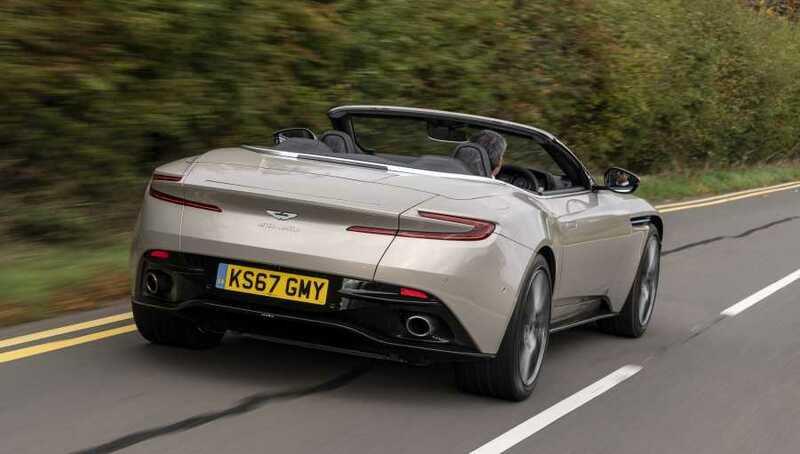 The DB11 Volante, meanwhile, is the latest evolution of Aston Martin’s convertible Sports GT and joins its coupe stablemate which was launched last year. Lighter and more rigid than the model it replaces, the elegant soft-top comes with the promise of greater performance and handling to maximise the more sporting side of its character. 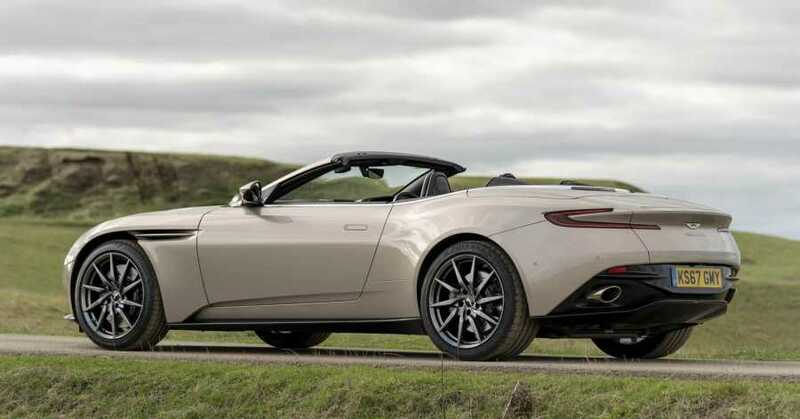 This it completes with admirable panache – if the Vantage is an out and out sports car, the DB11 is a grand tourer in the classic mould – smooth, lightning fast and luxurious. Via an 8-speed paddle-shift automatic transmission, electric power steering and limited-slip differential, the driver can tailor the car’s responses to best suit the road or weather conditions. It’s not quite so quick as the Vantage, with a 0-60 time of 4.1 seconds and top speed of 187mph, but it is the epitome of cool for a long journey – though the ‘plus two’ rear seats would prove claustrophobic even for a small child. Otherwise the Volante’s defining feature is its eight-layer fabric hood which takes just 14 seconds to lower and 16 to close and can be operated remotely from the key, or on the move at speeds of up to 31mph – with a 31mph headwind. DB11 Volante prices start at a princely £159,900.